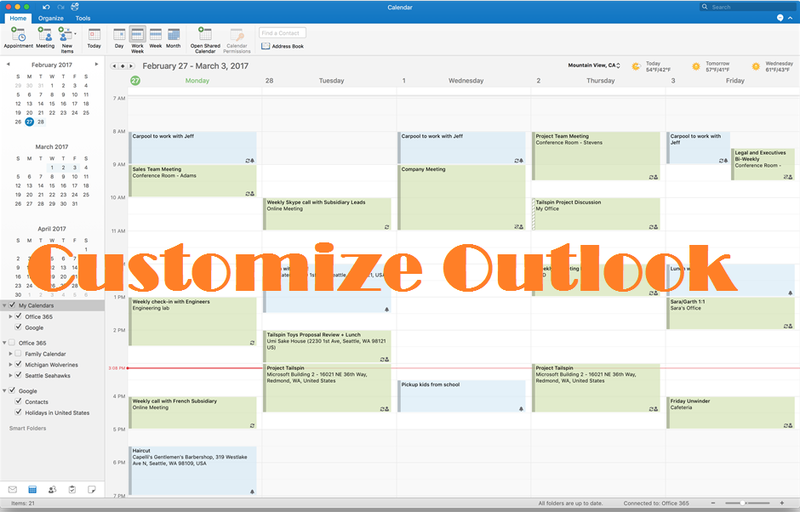 Microsoft Outlook 2016 contains a multitude of actions and functions to help you sort, files and respond to messages efficiently. This guide will take you through the steps to customize some of the most useful options as per your need. Click on the File tab in the navigation ribbon. 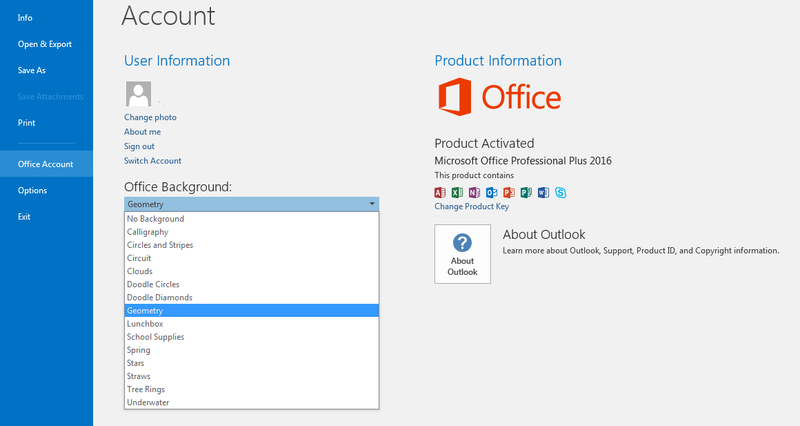 Navigate to Personalize your copy of Microsoft Office under the General section. Choose a background pattern from the Office Background dropdown list. The Background option provides various patterns to decorate the area surrounding the navigation ribbon. Your options include clouds, underwater imagery, and calligraphy. 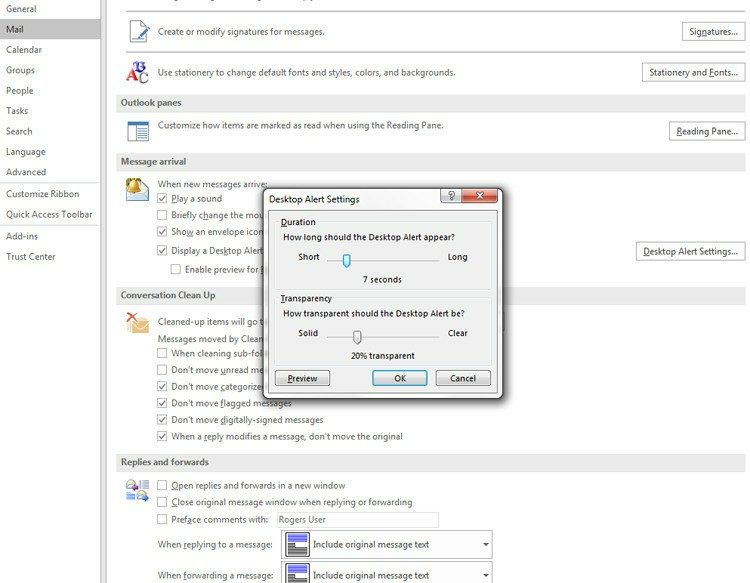 The theme option changes the colorization of Outlook and your Office theme in general. Click View on the navigation ribbon. Click on Reading Pane under Layout. Click on Reading Pane under the View tab. Check Mark items as read when viewed in the Reading Pane. Choose to modify the five-second delay. Check or uncheck additional options. Modify the maximum number of visible items. Select/Deselect Compact Navigation to swap between icons and words. Modify the order of the Navigation strip links. Select the View Tab. Click on Change View in the Current View Tab. Choose between the predefined Compact, Single or Preview views. You can click Reset View under the view tab to revert to the default view. Click the View tab. Select Change View. 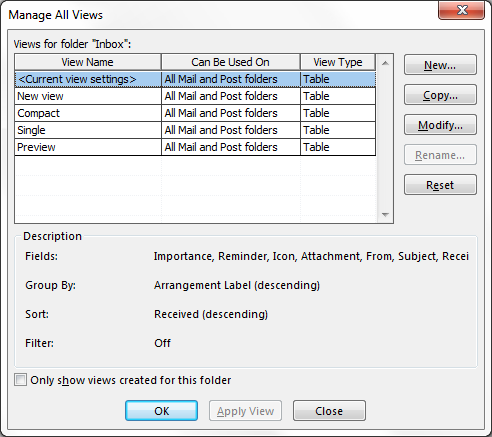 Select Apply Current View to Other Mail Folders. Click on all folders that require an application of the view. Select Apply view to subfolders if needed. Click OK to apply. Select Change View under the Current View group. Select New. Enter a name for the new view. Select the type of view to use. Choose All Mail and Post folders under the Can be used on section. Select options to use in the Advanced View Settings: New view window. Select Apply View to finish. Choose View Settings in the View tab. Make modifications to presented options in the Advanced View settings window. Click Change View in the View tab. Select Manage Views. Choose Current view settings under Views for folder. Select Copy. Select All Mail and Post folders under Can be used on. Click on the View tab in the navigation ribbon. Click View Settings in the Current View group. Select a font, style, and size. Click OK to save new rule. Click on File in the navigation ribbon. 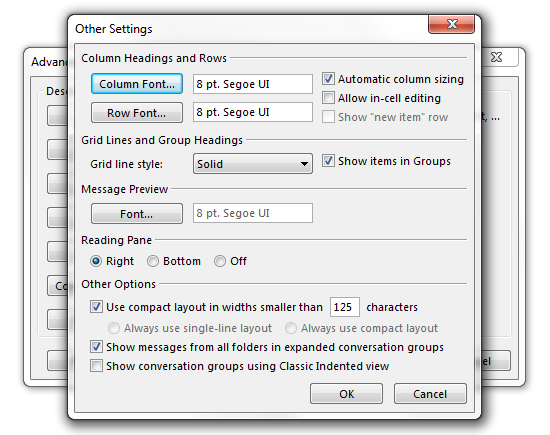 Click Stationary and Fonts under Compose Messages. Choose when to use font theme. 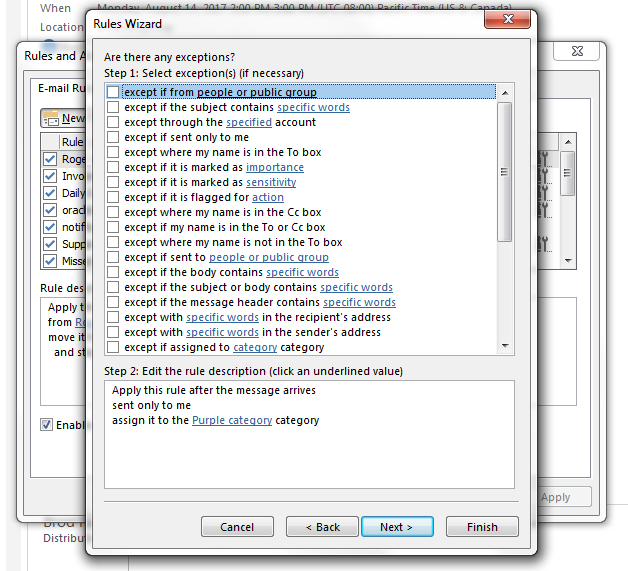 Select font settings for new mail, replying or forwarding messages if no theme selected. Click Rules in the Move Group. Select Apply rule on messages I receive under Start from a blank rule. Select the condition(s) that apply to the rule. Check Assign it to the category category under Select action(s). Choose a color to assign. Add exceptions to the rule. Navigate to Grid Lines and Group Headings. Select an option in the Grid line style drop-down. Click on Message Preview under the Arrangement group. Click an option to view zero, one, two or three lines of the message body. Click on By Date at the top of the Message Preview pane. Select a sorting open in the window. Click on View Settings for additional options. Make modifications in Advanced View Settings. Navigate to the message arrival section. Select or deselect Briefly change the mouse pointer. Select or deselect Show an envelope icon in the taskbar. Select or deselect Display a Desktop Alert. Click on Desktop Alert Settings. Choose the duration for the Desktop Alert. Choose a transparency level for the Desktop Alert. With these options available, you can truly customize your view and experience in Outlook. Email management can be as simple or as detailed and organized as you want.